An Israeli settler ran over a Palestinian youth on Route 60, near the illegal Israeli settlement of Gush Etzion, in the southern occupied West Bank district of Bethlehem. 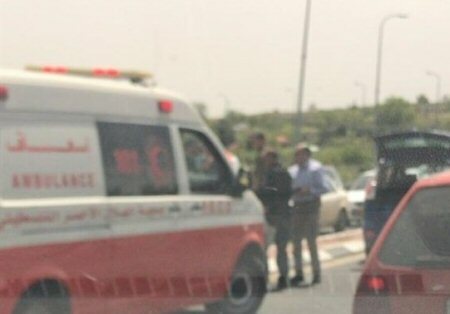 Muhammad Awad, head of the Palestinian Red Crescent Society (PRCS), confirmed that the Palestinian youth, identified as Hamza Shihadeh Najajra, from the Nahhalin village in the Bethlehem district, was run over by an Israeli settler. Awad said, according to Ma’an News Agency, that Najajra suffered a critical injury in the head and was taken to a hospital in Jerusalem City, central West Bank. Local sources said the Israeli settler fled the scene.